That sentiment was voiced by Greg Whiteley, director of AFI Docs Spotlight feature “Most Likely To Succeed.” The film, which premiered at the 2015 Sundance Film Festival, examines new alternatives to our outdated education system — but it also sums up the task of advocacy filmmakers. Showing the film to attentive audiences is only the first step on the long road to social change. This month, the Human Rights Watch (June 11 – 21) and AFI Docs (June 17-21) Film Festivals will help filmmakers such as Whiteley along that protracted path, enabling them to make some noise in two of the world’s most important cities — and maybe even change the world for the better. “That’s what attracted to me to AFI Docs,” said incoming festival director Michael Lumpkin. “Because of where it’s located geographically in the seat of one of the most important places on earth for legislation, the festival is in a unique position to bring filmmakers to organizations and people that can really move things forward.” Indeed, at past editions of the festival, legislators and government officials, including Nancy Pelosi, Harry Reid, Eric Holder, and Barbara Boxer, have all shown up at festival screenings. Similarly, Andrea Holley, Strategic Director at the Human Rights Watch Film Festival, said the event’s mission to seek “accountability and justice” is bolstered by New York City’s media centers, as well as such important like-minded area organizations as the United Nations. “New York is important to us because it’s global,” she said. 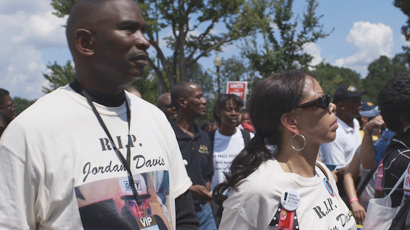 Backed by Participant Media, “3 ½ Minutes, Ten Bullets” is hurdling forward on a significant outreach campaign to “spark a national dialogue about implicit bias,” said producer Carolyn Hepburn. The Sundance premiere is a riveting chronicle of the shooting death of African American teenager Jordan Davis by a white middle-aged Florida man and the ensuing court case. Working with such organizations as the Perceptions Institute, the PICO National Network’s Live Free Campaign (which is made up of faith-based minority groups), Million Hoodies Movement for Social Justice, and Cities United, the “3 ½ Minutes” team see the film as a “valuable tool” to challenge racial assumptions perpetuated by the mass media, according to Orlando Bagwell, another producer on the project. With that goal in mind, the producers have also aligned with Senator Richard Durbin, a supporter of the film, who is inviting fellow legislators to AFI Docs screenings. While Whiteley’s “Most Likely to Succeed” has already screened for governors, U.S. senators, presidential candidates, and local legislators, AFI Docs will mark the film’s D.C. premiere, where Whiteley is looking forward to showing the film to key decision-makers in the seat of U.S. power. AFI Docs will facilitate that connection through its inaugural “Impact Lab.” Working with Picture Motion, a marketing and advocacy firm for issue-driven films, AFI Docs has invited seven filmmakers, including Whiteley, to meet with potential outreach partners, learn how to work with legislators, and then present their films to policymakers on Capitol Hill. “We hope to take advantage of the political and social landscape that Washington, DC and AFI offers,” said another Impact Lab participant Geeta Gandbhir, co-director of “A Conversation with My Black Son,” which follows racially diverse parents discussing racism with their kids. Gandbhir and the “Conversation” team are employing their screenings as “a launching point to connect with organizations that address racial equity locally and nationally,” she said. Meanwhile, in New York, director Julia Bacha, who is an “impact producer” on Amer Shomali and Paul Cowan’s Human Rights Watch selection “The Wanted 18,” said they’re also launching a campaign around the film in conjunction with their festival premiere. 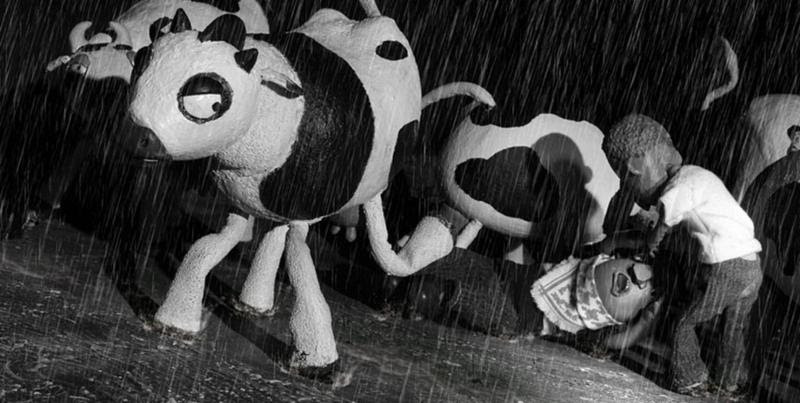 The light-hearted political documentary, which chronicles the Israeli army’s pursuit of 18 cows on a Palestinian farm and the peaceful acts of civil disobedience that followed, “can shift the mainstream narrative of the First Intifada and the Israeli-Palestinian conflict in general,” said Bacha. In order to get a big media boost, Democracy Now! radio journalist Amy Goodman has been tapped to lead a discussion after their Human Rights Watch premiere. The following week, the film opens in theaters, via Kino Lorber; in addition, the team will also be holding “influencer screenings” and utilizing Gathr for interested parties to organize their own theatrical screenings. “We are in conversations with over a dozen national and constituency-based organizations that are interested in learning more about how their members can use our Gathr campaign to host important conversations about Israel-Palestine beyond major American cities,” explained Bacha, who, with past films, has partnered with such organizations as the Telos Group, which is focused on engaging evangelical leaders in an honest conversation about Israel and Palestine, the Muslim Public Affairs Council, Jewish Voice for Peace, and T’ruah, which trains Rabbis. This year, for example, the Festival will unveil, in a special program on digital storytelling, a Human Rights Watch produced project called “The Unraveling,” about the humanitarian crisis in the Central African Republic. The festival has also programmed “The Trials of Spring,” a project about leading female figures in the Arab Spring, which includes a feature-length documentary, as well as six short films and articles, which launched on the New York Times over the weekend. In addition to partnering with such groups as Peace is Loud, MediaStorm, and BoomGen Studios to execute a grassroots and social media strategy “aimed at building a robust conversation about women and their unwavering quest for social justice and freedom in the Arab world,” said “Trials of Spring” director Gini Reticker, the film’s transmedia presence is essential to keeping the its narratives current.